It seems that Redman‘s Muddy Waters 2 is close to coming out. The Brick City emcee has been talking about it for some time, even as far back as November of 2010 when he announced it would be released in 2011. However, time has passed and the album hasn’t been released. Still, Redman recently took to Twitter to unveil what looks like cover art for the album and a message to fans. 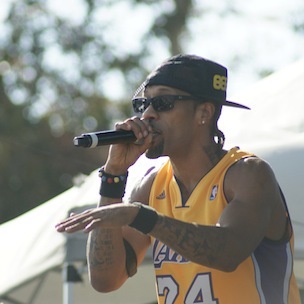 It is unclear if the music has remained the same since he spoke about it in 2010 but Redman shared that the album would have a ’90s feel when he first announced it. He also said he wanted to continue working with other artists, including Erick Sermon.